Shadow Force by Matt Lynn, Trade Paperback, 2011, 448p. Shadow Force is the third book in the “Death Force” series by Matt Lynn, and it was spectacular. I read it over a couple of weeks during my reading slump, and it really helped me get excited to read again. The characters in this series are wonderful, and I’ve got the fourth and final book in the series from the library to read at the moment. The end of this book had a MASSIVE twist, and it was interesting to see how these ex-soldiers handled the moral implications that popped up. I always hope that Steve stays with his vintage car yard, but he always seems to get himself involved in this crazy battles all over the world. Pale Horse Coming by Stephen Hunter, Paperback from Library, 2001, 594p. Pale Horse Coming is one of those books that I’m not sure what to rate it as – I enjoyed the story, and just like the last book in this series, find the character of Earl to be really interesting. However, both this book and the last in the series, Hot Springs, took me months to read. I usually read books of this genre in days or maybe a week. Hot Springs caused a reading slump a year ago, but I didn’t think it had anything to do with the actual book I was reading. Pale Horse Coming happened to also put me in a reading slump – so I’m not sure if I am game to tackle the last book in the series, Havana. The strange thing is that I did enjoy this book – as Goodreads would say, it was okay – 2 stars. Brute Force by Andy McNab, Paperback, 2008, 480p. Brute Force is a solid addition to the Nick Stone series, but certainly not ground breaking or earth shattering. There is an enjoyable plot, which is packed with action and the writing is not as… over the top as some McNabs can be, and it certainly helped me get out of a reading slump. I’m glad that Andy McNab is writing the Buckingham series however, because I think the Nick Stone character has been dragged through enough novels now. I have a couple more of these paperbacks floating around my house/kindle – and I will most likely read them, but my excitement for Nick Stone books pales in comparison to my excitement for all things Buckingham! The Scarlet Plague by Jack London, Netgalley eARC, 2015, 192p. I’ve only recently discovered Jack London, reading (and loving) The Call of the Wild earlier this year. The Scarlet Plague is being released as a Dover Doomsday Classic with illustrations. The story is a dystopian end-of-the-world story in which an elderly man recounts his survival of The Scarlet Plague to his wild, savage grandchildren. I really enjoyed London’s prose, his was of describing action and adventure is second to none. The story consists of a retelling of past events, and therefore isn’t as action packed as some of London’s other works. I did enjoy this short novella, and recommend it to anyone who likes dystopian fiction or JJack London’s prose. Fire Force is the second novel in Matt Lynn’s Death Force series, following the exploits of a group of mercenaries headed by Steve West. 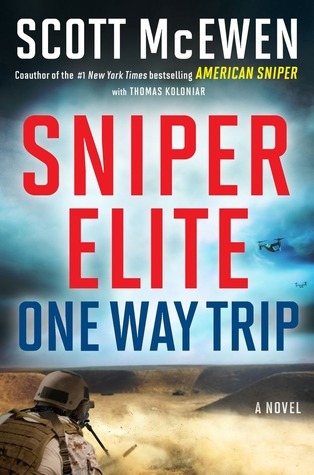 I found this book to be interesting, with a plot line that isn’t too common in action novels, but the action sequences were very much the same as what you read in other books of this genre. The characters in this series are excellent – I love Dan and Nick the best, and it’s fun to actually not like the main protagonist, who I find to be hypocritical and annoying. 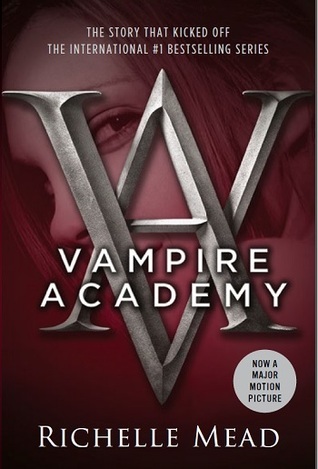 The writing in this series is pretty average, and there was even a grammatical error on the cover of the copy I read, but I don’t read action novels for well put together literature, I enjoy them for the plot. I’ve been waiting for this book to be released since reading the last Joe Pickett novel, Stone Cold. I really do love this series, and after each one I wonder how C.J. Box is going to make the next book interesting, because there have been 14 books in this series prior to Endangered. 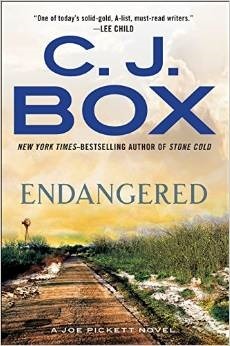 As I was reading this book, I kept thinking that there was something different about Endangered, and it wasn’t until I finished that I worked out what it was. Usually the main conflict in Joe Pickett novels arises from Joe’s job as a Wyoming game warden, or from the community of Saddlestring itself, but in Endangered the conflict and action occur because of issues within Joe’s family – I’m usually the reviewer lamenting the lack of involvement of families in novels, so it was so nice to be able to read a story where the ‘big bad’ was not naughty for hurting the environment, or the people of Saddlestring, but rather, Joe’s family. I’m a massive fan of Joe and Nate’s relationship, and this book hurt me so much. I won’t elaborate too much because I don’t want to ruin what happens, but let’s just say that this isn’t one of those books where Joe and Nate pair up and take on evil with shotguns and Nate’s awesome Special Forces background… but it is still satisfying. So satisfying. As always I will be pre-ordering the next Joe Pickett book as soon as it comes available for pre-order on kindle. And I’m not going to consider that there won’t be another one because there has to be, or else I’ll to riot. If you haven’t read any Joe Pickett, you really should start – go read Open Season, the first of bunch. You won’t regret it. Or maybe, you will regret having to spend all your time catching up, it is a BIG series and highly addictive. As the Crow Flies was an enjoyable, fast paced read. There was an interesting murder enquiry to follow and DI Nick Dixon has the makings of being an interesting character. There was quite a bit of rock climbing vocabulary in this novel which completely lost me, but I decided to push through that and I am glad I did. The plot was tight – I didn’t guess the ending at any point of the novel, although I did work out some parts, I never figured out who killed Nick’s friend Jake. It came as a shock when it was revealed. As the Crow Flies is fast paced, and a short novel of only 200p, so there was only the single main plotline with no intersecting subplots, which I would have preferred to have. The only thing that was missing from this novel was strong characters – as there were so few pages, and most pages were dedicated to furthering the plot. I struggled to remember people’s names, and when I did remember them, I wouldn’t be able to tell you much about them besides their relationship to Nick Dixon. I feel like the author could have given more time (and pages) to developing the characters, maybe some more dialogue between characters about their lives, or even using more description when setting scenes. 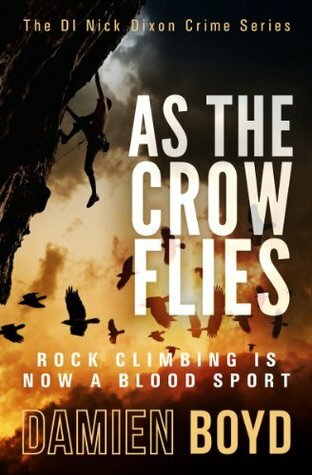 Overall I enjoyed reading As the Crow Flies and will certainly be picking up the next book in the series. One Way Trip has been sitting on my TBR list for over a year (and I borrowed a copy from the library two months ago that has been sitting on my shelves! ), and I am so glad that I picked it up to read, because it is one of the best books I have read in this genre. The hero in this book, Gil, certainly is an interesting creation, blending the cowboy aesthetic with the tough as nails Special Forces soldier, and it works so well. Often I find it hard to connect with American characters in these novels, because I don’t share the over the top patriotism for America as they seem to always be written with. I get that it’s a good hook for patriotic Americans, but for an Australian who has studied Middle Eastern History and often doesn’t agree with American (and Australian) policy in that region of the world, I find it hard to get through political rhetoric. One Way Trip definitely does have some things that make me cringe – a love of the word Haji and a general “America good, everyone else bad” disposition, but it comes across more as believable attitudes of soldiers rather than political and racial posturing by an author. The storyline of One Way Trip was interesting, I liked the aspect of rescuing a downed pilot who was injured and had been raped. It was interesting to think on some of the issues that this raised, for example, would the Special Forces community be as desperate to rescue the hostage if it was a man? I also liked the way that politics, the media and the military were all interlinked and affected one another. Often in military fiction the media and politics don’t seem to make much of a difference to the soldiers, whereas in One Way Trip, they were affected by outside forces. The ending, with the final battle, was one of my favourite scenes so far this year, with some very touching and interesting moments. Certainly not believable – but I read these novels like most people read fantasy – ‘Hey, its not real, but isn’t it cool? !’ I’ve already put the next book in this series on hold at the library, and I can’t wait to get my filthy little hands on it – I want to catch up with Gil and see how he’s going with everything that happened! I’ve got a very busy week coming up this week, I’ve got two assignments and two tests to study for, and I’m already bogged down in my coursework. I’m going to spend Wednesday and Thursday getting caught up with everything. So this week I am going to limit myself to reading two novels – and only the second one once my course reading is done. We’re also getting our carpets cleaned, which means lots of furniture moving, which does not bode well with my joints. But the BF said he would do most of it, and I just need to do things that require two people. I’m hoping my body can survive the process, but last week I spent two days doing some autumn cleaning and I almost DIED. I’m currently reading “Breaking Creed ” by Alex Kava, and so far, enjoying it. It’s nice to read about men and their dogs, and I’m already liking the Ryder Creed character. I might need to go hunt out some more of Alex Kava’s books, because I’m certainly enjoying his one! 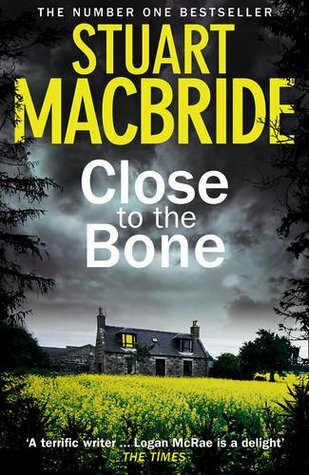 Close to the Bone would have to be my favourite Logan McCrae novel I have read to date, mainly because it is more about the personal lives of the police officers than previous instalments. For the first time I hated Logan in this book, but I then felt so sorry for him a little later, so manipulative of my delicate emotions, Mr MacBride! The crime was interesting, and they discussed slash fanfiction, which made me chuckle and reminded me of my youth when I was obsessed with X-files fanfiction. I did miss Logan’s reporter friend and I felt like the situation with a certain someone was left unresolved, but hopefully that will be reconciled in the next novel? Also, I cried like a baby at the conclusion of this novel, not something I do with every crime novel I read. 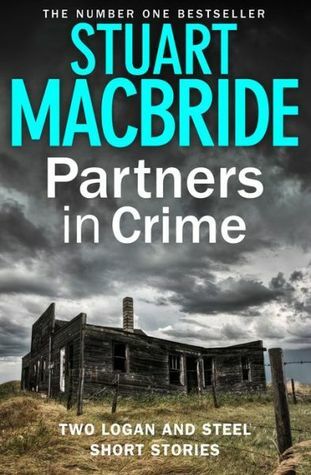 As I have been reading the Logan McRae series I was excited to find this collection of two short stories available for kindle. I didn’t like either of these stories as much as I enjoyed the previous short story I read, The 45% Hangover, but they were interesting and funny. If you have half an hour spare, and are already a fan of the series, then they are worth your time, but they wouldn’t make a good introduction into this world. Yet another short story, this one was a Joe Hunter yarn. It wasn’t thick with plot or characters but it was packed with action. Oh! So much action! 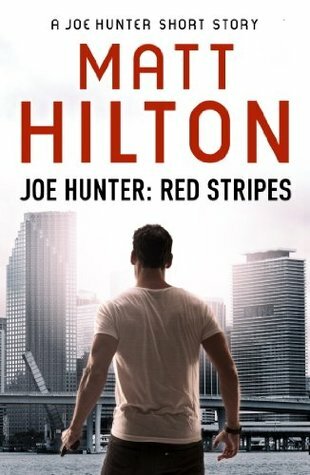 I really do enjoy Joe Hunter stories and was very relieved when Mr Hilton announced on his blog that the next Joe Hunter novel will be out mid this year, now I just have to wait, and while I am waiting, I will read his collection of other Hunter short stories. I didn’t make it to Geoffrey McGeachin’s event that happened during Adelaide Writer’s Week, which makes me a little sad – but I wasn’t feeling well enough to go, and I’m trying hard to not push myself physically. Exciting news for this week is that C.J. Box’s new novel, Endangered, is out on the 10th, I’ve preordered it on kindle (thanks for kindle vouchers, lovely family), and can’t wait to read it! I’m currently reading Fire Force, which is book 2 in the ‘Death Force’ series, and am loving it so far. The only problem is it seems to be a completed series with only 3 or 4 books, and I know I’m going to want more.